We recognize that all our patients are unique and deserve to receive orthodontic care that reflects their individual needs. 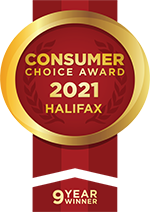 Our experienced and talented orthodontic team is committed to working with you and your family to create a comfortable, stress-free, and rewarding orthodontic experience every time you visit our Dartmouth orthodontists. Kim has been working with our team since 2004. 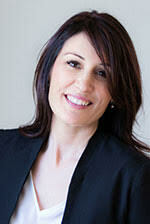 She brings many years of dental experience to the practice. A graduate of the Dalhousie Dental Hygiene program, Kim is an outstanding clinician who provides quality care to all of our patients. Kim’s interests include fitness, nutrition, and creating beautiful smiles! Emma is a graduate of Dalhousie University. After completing her Bachelor of Science degree, she graduated in Dental Hygiene in 2015. Education and helping people are strengths that she uses not only at the clinic, but in her community as well. She really enjoys interacting with people and in addition to her work she also teaches skating in Dartmouth. She loves the outdoors and speaks French fluently. Kari graduated from Dalhousie University in 2000 with a diploma in Dental Hygiene. She joined our team in 2008 and provides excellent care to our patients throughout their orthodontic treatment. Lisa joined our team in 2005. She is a Registered Dental Assistant and Certified Orthodontic Assistant. Sarah graduated from NSCC-IT in 2006. She is a Registered Dental Assistant and a Certified Orthodontic Assistant. She joined our team in 2011 and performs 3D scans for our patients. Sarah enjoys many outdoor activities and teaches fitness classes as a certified resistance/fitness instructor. Amanda graduated from NSCC and is a Registered Dental Assistant and a certified Orthodontic Assistant. Amanda will be the first clinician you will see before your treatment begins and the last clinician you’ll see when your braces come off! Amanda and her husband David live happily on a hobby farm (along with their three dogs, cats, goats, sheep, bunnies, ducks and chickens!) in Musquodoboit Harbour. In her spare time you will find her painting, gardening and breeding Standard Poodles! Michelle is a registered Dental Assistant and certified Orthodontic Assistant. She comes to our office with a wealth of dental and customer service knowledge! In her spare time she enjoys reading, walking, and spending time with her family. Rod has worked behind the scenes at our in-house laboratory since 2008 making retainers, appliances, and indirect bonding trays. He is a lab technician with many years of experience and is dedicated to delivering appliances of the highest quality. He is a tremendous asset to our team. When he’s not here, Rod enjoys cooking, music, fishing, and spending time with his family and friends! Lee Ann is a Registered Dental Assistant with 14 years experience and is also trained in Orthodontic Assisting. She is one of our Treatment Coordinators and will most likely be the one you will meet if you have a child visiting our office for the first time. Lee Ann is a mom of one who always keeps her busy! As treatment coordinator, Rochelle provides patients with the information they need regarding treatment options, fees, payment plans, and insurance coverage. Rochelle graduated from Mt. Saint Vincent University, went on to study Dental Assisting, and has more than 20 years of combined experience as a dental assistant, financial coordinator, and treatment coordinator. A busy mom of one, Rochelle enjoys dining out, traveling, and visiting family and friends on PEI with her husband, daughter, and dog Tia! Amanda is our Business Manager here at Stuart and Davidson and has been working with the team for 5 years. She has a passion for customer service and tending to the needs of others, which ultimately led her graduating from Holland College's Medical Support Services Program. In her spare time Amanda loves spending time with her family and friends along with reading, cooking and hiking in the great outdoors. Jillian graduated from Saint Mary’s in 2016 with a Bachelor of Arts degree. She is a new member of our team at the reception desk, but she was also a previous patient of ours. Outside of the office she spends her time with family, her boyfriend, and their two rambunctious dogs Gunner and Otto. Nicole is a new face at the front desk but not to our clinic. All four of her daughters’ smiles were treated here! Nicole comes from a customer service background and is thrilled to share that experience with our office and patients. You may see Nicole in rinks across the city as she is an active member of the ringette community here in Dartmouth. Lindsey joined our team shortly after graduating from Dalhousie University with a Diploma in Dental Hygiene in 2018. She also holds a Bachelor of Commerce from Dalhousie and has many years of customer service experience. She grew up in Tatamagouche and loves going back to visit family and friends as often as she can. She enjoys camping, snowmobiling, hiking, and traveling the world. Rania is a Registered Dental Assistant who joined our team in September 2018. She brings with her a wide-ranged background of customer service from her involvement in government, retail and volunteer services! Her dedication and passion ensure that everyone has a great experience at each appointment. When Rania is not hard at work in our office, she actively volunteers in her community and teaches Lebanese Folk Dancing! Kim is our newest member of the team at the reception desk! She was also a patient here as an adult. She had graduation in 2006, taking Medical Administration and has over 12 years in customer service. Outside of the office, Kim loves to spend time with her family including her cat and being in the outdoors as much as possible!